You’d assume that when the earth opens up to swallow a big chunk of a crowded city it would take months to fix the damage. 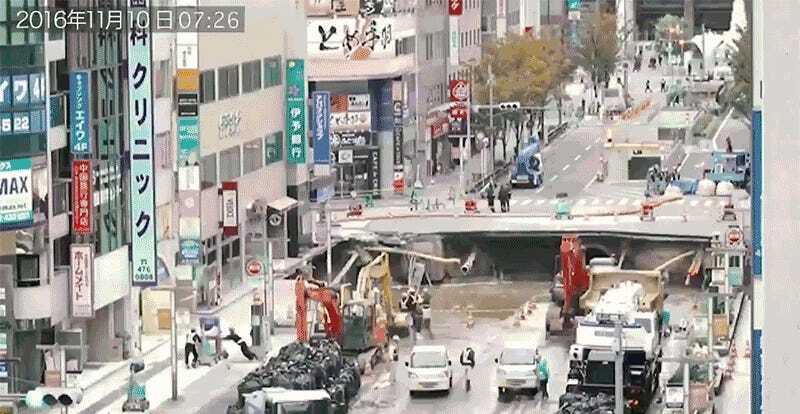 But in the Japanese city of Fukuoka, it took repair crews just four days to fix a massive five-lane-wide sinkhole that suddenly appeared last week. The sinkhole maxed out at around 100 feet wide and 50 feet deep, and was caused by construction workers who were boring a tunnel for a new subway extension about 80 feet below the road’s surface. 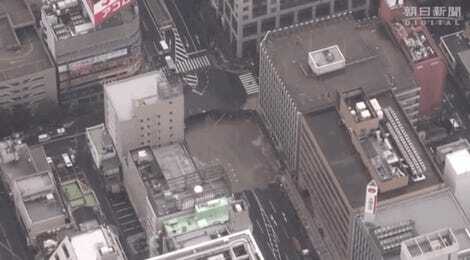 Given the size of the sinkhole, and the interruption of traffic on the busy street, city officials decided to fill and repair the massive hole and temporarily stop work on the new subway line. It only took about four days before vehicles were allowed back on the street, and two more days to restore all of the utilities affected by the incident.